Sunglass and other accessory display in mall are very good business . Many vendors will choose to open a sunglass hut in mall. 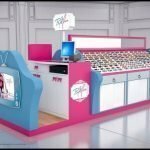 As a typical retail mall kiosk design. 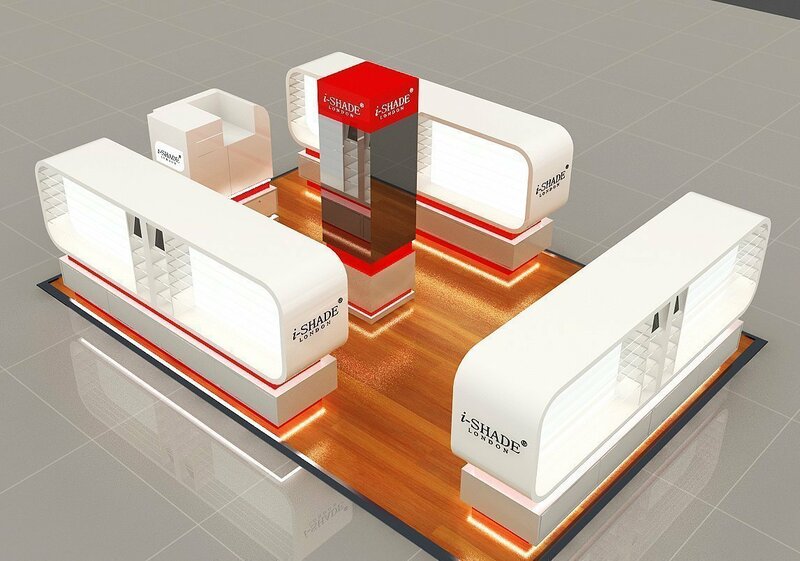 Sunglass display kiosk must have enough display cabinet and showcase for products display. Here blow is a 4*3 meter square mall kiosk lease. 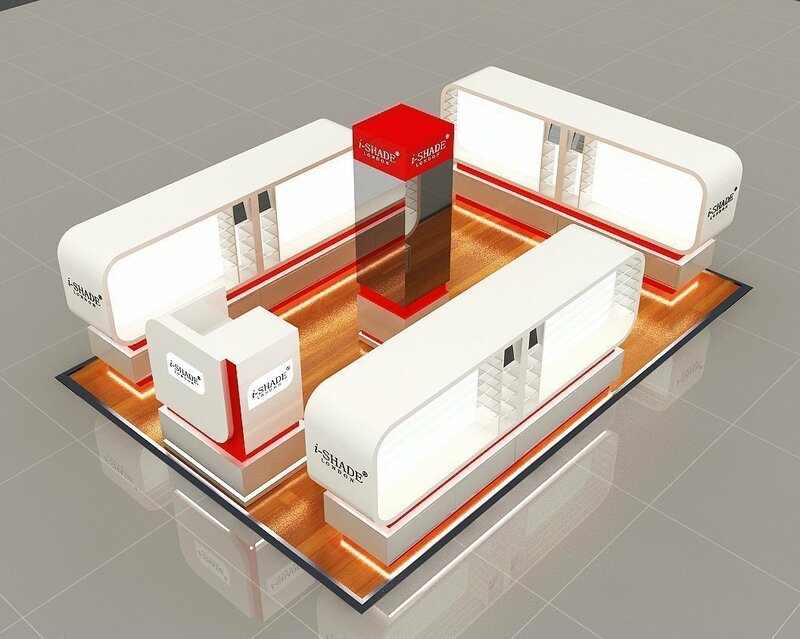 In the middle is a designed mirror cabinet with rotating LOGO advertising. 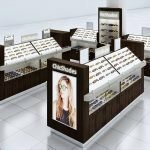 There are 3 big and long display counter with a lot of sunglasses display shelves . While all the back part of display area are lighted up. So the products are in a very high and bright display position. However , the advantage of this kiosk design is also need to take into consideration. Due to the too much light inside the display counter to light up the cabinet. There will be too much heat inside . And all the two side are for product display .We only can drill exhaust hole down to the bottom for heat . In fact , this is not enough for so much light . The best way of improve this sunglass kiosk design is to reduce led light using . Add more mirror in the middle to mix the design. 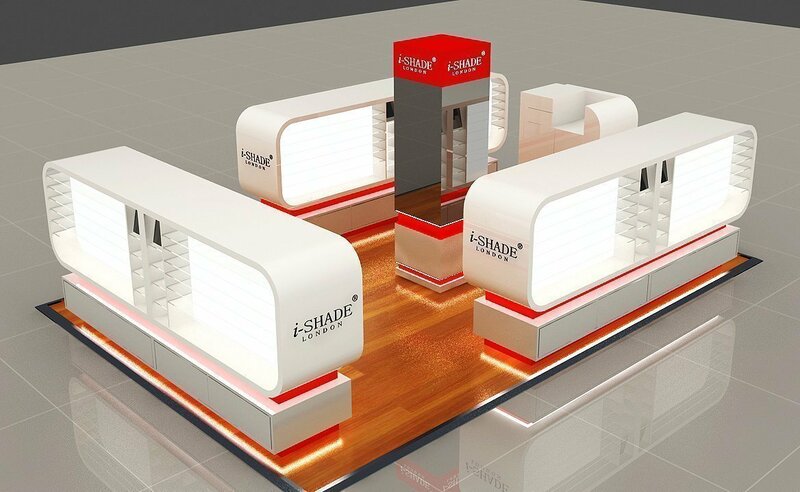 Above all , this is a nice sunglass kiosk design for mall. if you need a customize design with good quality kiosk . Welcome sent us an inquiry.